Some rural regions have wine trails. Others have historic trails or art walks. 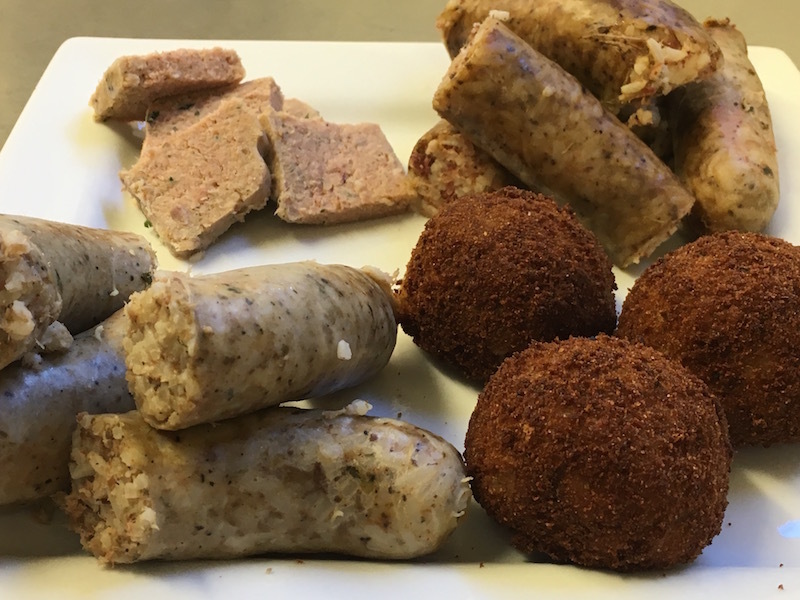 Southwest Louisiana has the Boudin Trail. If you haven't visited this part of cajun country, you may not have tried boudin, one of the most unique food offerings in a state known for its inventive and celebrated culinary scene. Made from pork or sometimes alligator meat or crawfish, boudin is a sausage stuffed with liver, rice, onions, parsley and special (and often secretive) blends of dry spices and seasonings. It's enjoyed for all occasions, and is a staple at area supermarkets, restaurants, and even gas stations. Locals all have their favorite boudin makers, almost all of whom make the specialty from scratch. The best use primarily local ingredients, from homegrown pork to rice. To determine your own favorite, you'll need to set out on the Boudin Trail. Come hungry! B&O Kitchen and Grocery: This roadside stop has been in the family since it began 35 years ago, and used to be a one-stop mercantile. Now, they specialize in their family recipes. Visitors can pick up boudin, of course, but can also find guadidaun sandwiches (a pulled pork type meat with boudin ball on the bottom, in a bun), smoked meats, jerky, boudin balls (filled with pepper jack cheese) and cracklins (fried pork rinds with meat still on the skin). LeBleu's Landing: After a few stops on the Boudin Trail, you'll come to realize that some of the best boudin retailers are in nondescript strip malls or gas stations. Maybe this is how you know it's legit! LeBleu's Landing doesn't look like much from the outside, but step inside, and you'll see hot cracklins waiting for you, as well as meat ranging from gator to headcheese in the coolers, ready to go. Kat's Kracklins: This stop in Lake Charles serve boudin (of course) but also a traditional plate lunch Monday through Friday. You can also pick up a Po-Boy to go, or, as the name suggests, cracklins. Pat's of Henderson: Pat's is located in an unassuming building by a car lot just off the interstate in Lake Charles. Don't let this dissuade you! Owner Pat is from, you guessed it, Henderson, Louisiana, where her family has been in the cajun cooking game for generations. In fact, our server was the daughter of Pat's head cook, who has been cooking for the family since Pat was a girl. Prepare to leave Pat's well-fed: we recommend the stuffed red snapper (it's stuffed with shrimp and crawfish, of course) and the catfish bites, but the gumbo is out of this world as well! In fact, at Pat's, visitors can take home a starter kit of their own roux, which is made to create their classic gumbo. T-Boys (on the Creole Nature Trail in Creole, LA): This roadside diner looks a little rough, but the women who run it are friendly and welcoming. We loved the fried fish and shrimp here, and the crab cake po-boy was great, too. They make great fries and onion rings, and all their seafood is locally sourced. Seafood Palace: You can tell Seafood Palace is a local favorite by the packed parking lot just about any day of the week. 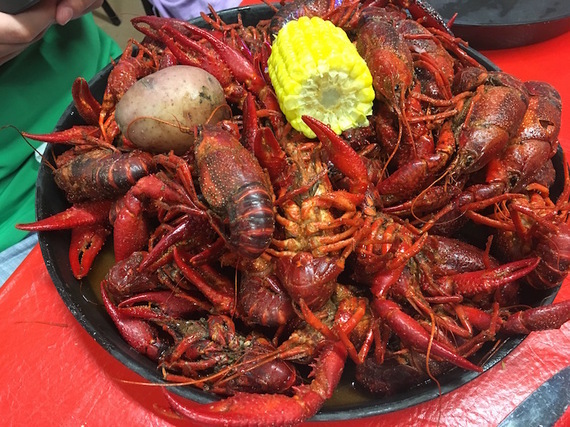 Their specialty is probably their boiled crawfish baskets in season (spring, primarily), but they also serve boudin, oysters, shrimp, catfish...you name it.